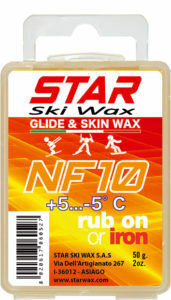 High quality glide waxes for racers and amateurs and also suitable for ski skin. The products are easy to apply by rubbing with cork on the back of the package or by using STAR waxing iron. 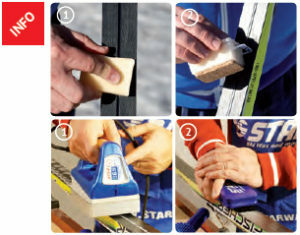 The waxes presented in the NF line provide a wide application range, improve the manageability of your skis, and guarantee quality glide!